It’s really hard to imagine how bad the news is going to collectively be once all of the Edward Snowden documents are finally released. ?Every new revelation is more depressing. In today’s news, it seems that the NSA has been indiscriminately hoovering up the full content of internet communications by directly tapping into fiber optic cables located outside the U.S. The events today in the Senate–namely,?the Republican filibusters of nominees to head the?Federal Housing Finance Agency?and a?D.C. Circuit seat, and?threats to do so for the Fed Chair vote–prove once again that?there’s literally no reason for Senate Democrats not to go nuclear right now on all appointments. In fact they do so beautifully. The basis of any defense of the filibuster is that eliminating it will improve the quality of debate. In both cases today, the arguments against the nominees were made were exceptionally poor. Mel Watt, the FHFA nominee was a politician, and thus a poor fit to run the FHFA. This doesn’t make a lick of sense, and the poverty of the argument is based more around Republicans wanting to keep an interim housing commissioner that has shut down numerous Administration plans to help the housing market. Patricia Millett was kept off the D.C. Circuit because Republicans don’t want to lose their clout there. Literally, that’s the argument. As if the president lacks the right to fill judicial vacancies. The major thing next week’s elections will prove is that hard-core cultural conservatism is simply unsellable in Virginia anymore. I mean, if Ken Cuccinelli couldn’t sell himself to an off-off-year electorate–which is to say, the most conservative possible general electorate in the state due to well-documented turnout patterns among young and minority voters in off-year elections–then it can’t be sold. In fact, not only could it not be sold, it’s become a deep negative in the state to the extent of helping turn the election, which is sort of a new development. It’s that he refused to allow himself to be deified while he was alive. My thinking is that a lot of the harshly negative reviews of Reed’s later records had much to do with the fact that music writers wanted to be able to just celebrate the man without the bother of having to listen to Lulu? (though admittedly a good amount of his later music was lousy), but Reed refused to allow himself to become like Elton John in his old age. He continued to be the acerbic, prickly creator he had been all along, setting out to polarize rather than to consolidate an audience or his place in history. I can’t think of anyone who stayed as true to their original life’s mission for quite so long. He was, of course, the punkest of all the punks who came after him, he never let up, and that’s a thing that I really respect. Yes, I am fully aware of the fact that the launch and current operation of the federal health insurance exchange website is a terrible, horrible, no-good, very-bad thing. ?Was it a case of bad management? ?Yes. ?Bad engineering? ?Yes. ?Should people be fired? ?Yes. ?Bad optics? ?Yes. ?The worst thing since Zombie Hitler taking over Jerusalem? ?No. I remember back in 2006, after Democrats won Congress in the midterms, that the conventional wisdom about the new Speaker and Majority Leader broke down like this: Pelosi was allegedly this very liberal, independent, activist leader, while Harry Reid was a stolid centrist without much in the way of dynamism. It’s interesting to consider this now nearly seven years later, when you can make a fairly solid case that the reverse is now true. 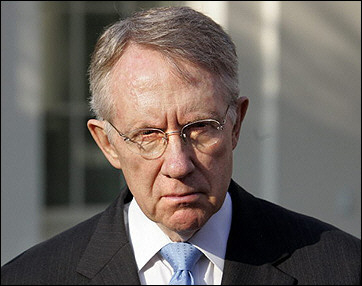 At this point Harry Reid is the Democratic leader I trust the most on budget issues, both in terms of issue positions and the ability to do the right thing. Meanwhile, Nancy Pelosi has let herself become Obama’s proxy on practically every issue that’s come up recently and often not on the right side, nearly to the point of becoming a rubber-stamp. There are good reasons as to why she might have?chosen to do this–running the House minority doesn’t count for much at this point in time, so drawing closer to Obama makes her stronger in some ways–but it’s sad, and it’s wrecked my estimation of her as any kind of independent force. Can you imagine Pelosi agreeing to chained-CPI if proposed by Bush? Of course not, and it suggests that she’s become ideologically compromised by her relationship with Obama. Admittedly, Pelosi was always more pragmatic than her image would have you believe, and Reid at the moment is far from perfect in a number of ways (e.g. filibuster reform). But it’s hard to argue that Reid has kept the faith with progressives to a greater extent than Pelosi has the past couple years. Given the latter’s (most likely) irreparable damage with the electorate and large number of enemies, I find myself unexpectedly thinking that a clean sweep of the Democratic House leadership would not be a bad thing at all, might increase Democrats’ House prospects since it takes the bogeyman of Speaker Pelosi off the table, and perhaps going with a few non-septuagenarians in there (crazy I know!) might better reflect the base of the party right now. How’s it hangin’, pinheads? It’s me, Billy-boy O’Reilly of the FOX-set, here to rap at you (but not literally) for another exciting column. [Today*] is the 50th anniversary of the Kennedy assassination, so celebrate the occasion by reading this?by Daniel Larison on why Kennedy wasn’t actually a conservative, a theory only really employed by Boomer men whose politics drifted to the right, but still want somehow to connect with the cool counterculture of their youth. Really, it’s nothing more than that.